I met him at Englebert Complex, the Toronto Blue Jays spring training facility in Dunedin, Florida in 2001. George signed a 1992 Topps Stadium Club card #525. 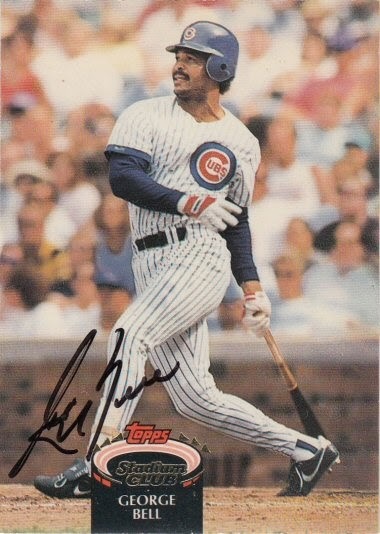 George's greatest contribution to the Cubs was being traded to the South Side for Sammy Sosa. He just didn't fit in on a National League lineup. That said, this card looks wonderful signed!